In the aftermath of Stalinâ€™s death in 1953, people from all sectors of Hungarian society wanted major reforms. Some wanted a western style pluralistic social democracy others an end to collectivisation of agriculture and an adjustment in investment priorities away from the Soviet inspired emphasis on capital goods expansion. They wanted production of more consumer goods. Many would have liked to expand ties with the west. 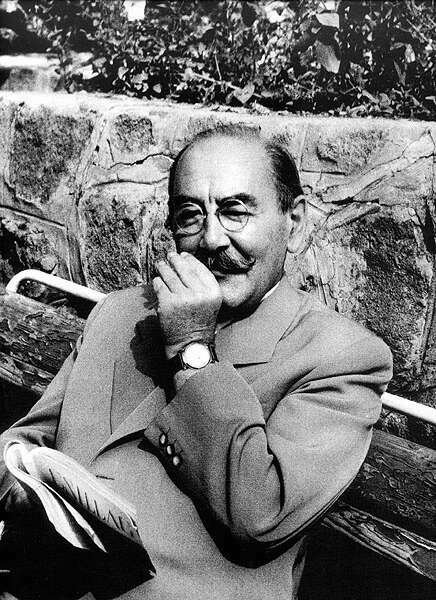 Reformist elements in Hungarian party leadership who had kept silent in the Stalinist years were emboldened after Stalinâ€™s death to elevate one of their own, Imre Nagy to the premiership of government. Rakosi (the Hungarian Stalinist Dictator of the time) stayed on as Party Leader. In 1956 the conservatives ousted Nagy and opposed his promised reforms. In the next year intense popular pressure mounted for a change, climaxing with anti-government demonstrations in Budapest (the capital of Hungary, for those of you who donâ€™t know) where university students and intellectuals demanded political liberalisation. In the countryside farmers demanded a return to private ownership of farm property. In response to demonstrations for sweeping reforms in Budapest during the last days of October, the Hungarian Party leadership returned Nagy to the Premiership. But when on November 1st, Nagy announced on the radio a restoration to the multi-party system (only the Communist party was legal at the time), the appointment to his cabinet of members of non-communist parties and Hungaryâ€™s withdrawal from the Warsaw pact, the soviets became alarmed. Thus proof that the USSR had completely degenerated into nothing but an empire; the elites of the Soviet Union had no interest in people or love, only power. A great oppurtunity was missed in the USSR, people had a chance to counter the multitude of evils in the world, but instead used the oppurtunity, ultimately, to add to them. Those who died in Hungary in 1956, and those who died in Czechoslovakia in 1968 must never be forgotten, as the mistakes that led the Soviet Union there must also never be. ...that rare figure of the strong yet peace-loving man against whom the weapons of night are blunted. Pulling out of the warsaw pact was stupid though. It was clear that America did not want to have anything to do with Hungary and therefore NATO didn't, so Hungary would still, more or less need to be in the warsaw pact for defense and economic purposes. Had that not have happened, the revolt may have succeeded and the USSR may have let it go. But it was like telling the man with a gun to your head that his mother is a whore... Just a bad idea and something you don't want to do anyway. The crushing of the Hungarian uprising was an imperialist move that betrayed all that the USSR stood for. I couldn't agree more with WCM. With the profit oriented economy that had been dominant in USSR economies at that time, this is the living proof. The future belongs to those of us still willing to get our hands dirty! On another note; I am quite aware of the Czechoslovakia incident and I am not trying to make it seem that Hungary was the only one oppressed; its just that I am Hungarian and thatâ€™s what I know about, so I want to inform people with what I can. Well the fact is that Eisenhower abandoned the idea of helping Hungary because his policy towards the soviet union was that of massive retaliation with no "measured" or flexible response (like was kennedy's plan). Eisenhower essentially had no choice and couldn't help hungary because of his doctrine of using nukes. He did not want to start a war over a country such as Hungary, and he and Dulles made it clear that Hungary was not a priority to the US. Many American scholars see this as a failure on the part of Eisenhower's foreign policy. "SOS SOS. The tanks are in the streets. You promised aide but where are you now?" Do you think Wat Tyler deserved to be killed for what he did? The Americans said they would help us, they would protect us! This is why I hate them! P.S. : who the heck is Wat Tyler? So this was a collective decision of all Americans?And that even today, all Americans should be held to blame for something, that, apparently all Americans of 1956 agreed to do collectively. Do you not see how ridiculous you are? Anybody who knew anything about Eisenhower's foreign policy could have told you this "help" would never come while there were Soviet Forces in the country. If any help at all, it would have been CIA help, and CIA would have been rather useless in the situation. Much less, you hate the Americans for something that happened 50 years ago, when most people weren't of decision making age much less born. Honestly, I think the overwhelming sentiment was to help the hungarians, but Eisenhower was too non-confrontational due to his policies. Scihobo was right. My mom, who was a teen at the time, describes it very similarly. That most people's hearts went out to the Hungarians. Most Americans did want to help, but it was not worth risking a nuclear war with the USSR. I know what you are saying, and it is true, I cannot blame the Americans of today for their crimes of the past, but I cannot help but feel resentment. A promise is a promise, No? And its not like they stoped after 1956, it happened many times afterwards, like during Iraq War 1. Many Iraqis helped the Americans who said that they would be protected from Saddam, but after the warâ€¦ well, lets just say there was a lot of weeping, and the Yankees didnâ€™t lift a damn finger. I suppose I could say that if the American people REALLY wanted to help us they could have had an uprising too like we did when we were unhappy with the government decisions. But I will not make such a stupid claim, because despite all contrary evidence, I do not have custard in my brain, and I know the world doesnâ€™t work that way. With aldo respect, Comrade Bendeguz, although the Americans - in particular, the CIA have been responsible for terrible attrocities ie. the assassination of socialist Chilean president, Allende, countries such as the USA are commonplace for a politically active minority and a silent majority - in other words major political reform rarely occurs. Yes, I suppose so, but did the American people have the AVO breathing down their necks? We still threw off the shackles without any democracy or freedom of speech! And got them thrown back on at gunpoint. countries such as the USA are commonplace for a politically active minority and a silent majority - in other words major political reform rarely occurs. Not to mention that ever since the Civil War there really have been no attempts to rework the system... Some see FDR's New Deal programs and MLKJr. as "real political reform" but they stopped far short. Americans are brainwashed, complacent and apathetic towards the whole situation. Not that the Civil war is a shining example of reforming for the better or anything, but really it was the last time anything drastic happened. Another large part of the problem here is not only the two party sham democracy, but also the fact that it is very very difficult to change anything through "legal" means. I admire the Hungarian attempt at revolution, but don't expect it in the US where something like 60-70% of the public agreed with the Iraq war even after they knew the "evidence" was false. The American system is too well entrenched and has the citizenry sufficiently brainwashed or at least apathetic to the situation. To me, America now looks a lot like Brave New World. There are lots of intelligent Americans, not all of them are the complacent pigs that you make them out to be. I have a personal agenda with them, yes (more-or-less) but we must be wary of what we say. The civil war was the last time that drastic change took place. That is possible, but lets not forget the beginning of the last century and the Depression, much great change took place then; in particular, the forming of Unions. Possibly the â€˜drasticâ€™ measures have not taken place because people fell that they can say what they want without having to defend themselves with a weapon. JÃ¤nos Kadar, leader of Communist Hungary after 1956 till 1989, allowed some gentle criticism of the system. It is amazing what people will tolerate if they have a fair economy, the opportunity to complain and the knowledge of what happed 'last time'.